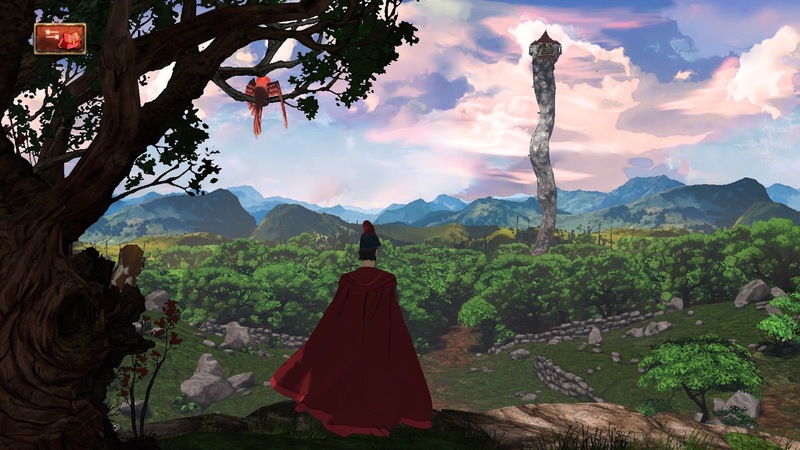 King's Quest The Complete Collection is up for grabs! Back in the day when people still used to read print magazines (i.e. before the 2000s), I used to love reading a British PC gaming magazine simply called "PC Review". Unfortunately, the magazine is no longer in print but one of the neat things they did was a monthly giveaway or contest where you would have to answer a question, submit your answer by snail mail (yes, snail mail) and then the correct entries would go into a sort of raffle. If you were lucky enough, you'd be one of a few that would win a free game and have your name in print in next month's edition of PC Review. You could imagine my surprise when I found out I won a copy of Sid Meier's Colonization this way; I suspect it was less surprising than PC Review realising they had a loyal reader from Abu Dhabi in the United Arab Emirates reading their magazine though! So which games did PC Review choose to have in their giveaways? Well usually the game that rated best that month; ones that were given the badge of "PC Review Recommended". I basically want to start an informal contest similar to what PC Review did where each month. The best rated game on Choicest Games will be a prize for whoever can submit the correct answer to a question I will pose (related to the game and its review). In the case of a tie, the winner will be randomly selected from all correct responses. What are the rules for the contest? Not much. Anyone can join so long as you make sure you only submit one entry per person (don't be greedy now :)) and that you provide some means for me to send your gift. I'll also need a name or nickname to address you by when I announce you as winner on the blog. So for the month of June 2016, the highest rated game on the blog was King's Quest - Chapter 3: Once Upon a Climb with 8/10. I'm going to be extra generous for this first contest though as the winner will receive King's Quest The Complete Collection (which is usually $29.99 USD - although cheaper at the moment thanks to the Steam sale). All you have to do is answer the question and fill out your details on the SurveyMonkey form below and you're in the contest! Entries close at 11:00pm 15 July 2016 Australian Western Standard Time (AWST).